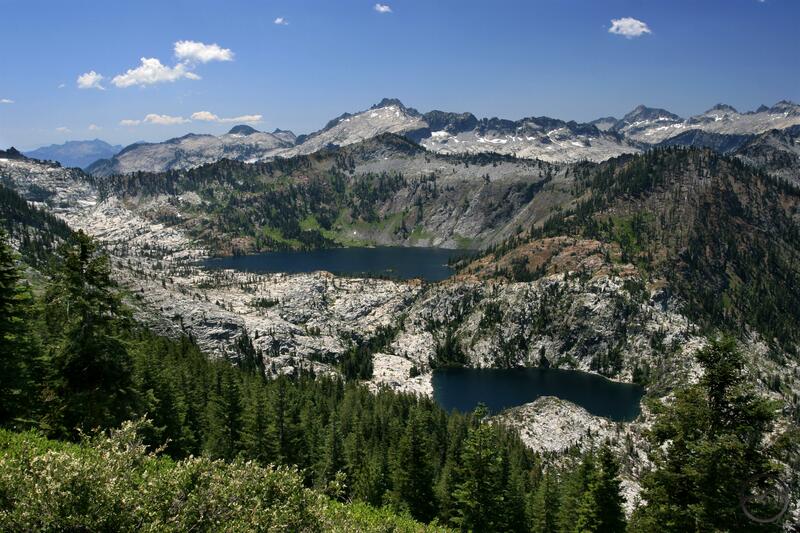 Caribou Lakes and the granite heart of the Trinity Alps. With the exception of Mount Shasta, the Trinity Alps are the most majestic and scenic mountain range in the California Northstate. 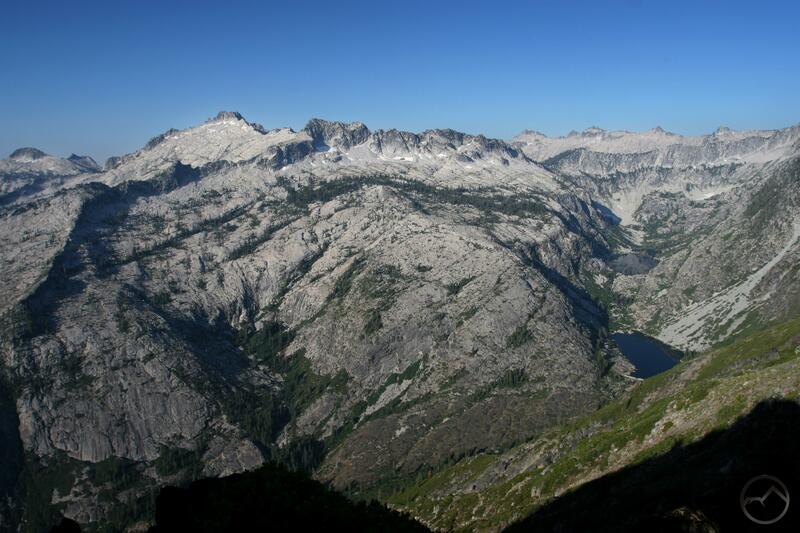 The Trinity Alps Wilderness, which is a vast 525,636 acres, is one of the wildest corners of California. Here one finds mountains on a grander scale than any other mountain range in California, outside of the Sierra Nevada (and Mount Shasta, of course, but that is a solitary mountain, and excels against every mountain in the state, even the great captains of the Sierra Nevada). There are many great destinations in the Trinity Alps and it is debatable which is the greatest. However, by any metric, the Caribou Lakes must be considered near the top of the list, if not at the very top by themselves. This is alpine scenery at its finest and grandest with lots of white polished granite, enormous, deep lakes, verdant meadows and a vista to rival scenes in the most scenic of mountain ranges. Caribou Lake is the largest lake in both the Trinity Alps and the entire Klamath Mountains. At 72 acres, it exceeds its nearest competitor by at least 20 acres. Lower Caribou Lake, occupying a deep granite bowl below the main lake measures an impressive 30 acres, enough to rank it near the top of the list of lakes in the Trinities in terms of size. Snowslide Lake, the smallest of the main lakes in the Caribou Basin is nearly as large. Numerous smaller tarns litter the basin, providing private soaking pools for weary backpackers. Weary is what any who reach the basin must be. It is over 9 miles from the trailhead to the lakes via the New Caribou Trail, the easier of the two routes leading into the basin. 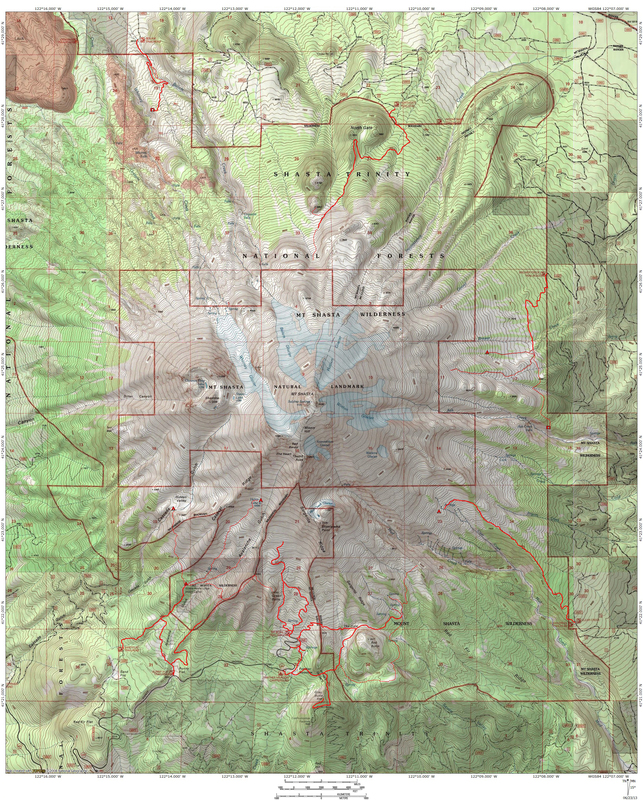 This effectively prohibits access to the lakes to all but the most fit and extreme of day hikers. This is not a bad development since scenery this amazing is not totally off the radar. It filters out the less dedicated and reduces the number of folks who make it to this special place. 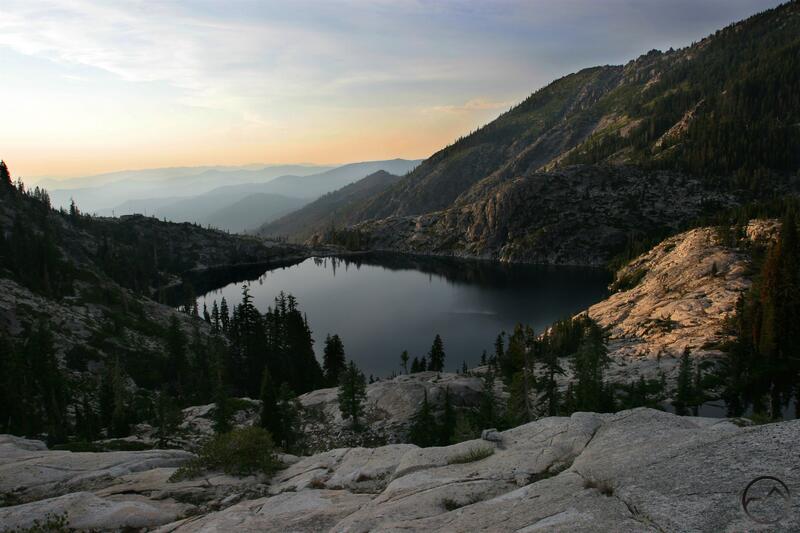 The Caribou Lakes Trail has two of the most iconic views found anywhere in the Trinity Alps. One, from the top of the headwall above Caribou Lake looks down into the Stuart Fork of the Trinity River. The serrated towers of Sawtooth Peak preside like a monarch over the region while massive Emerald and Sapphire Lakes, stunningly large lakes in their own right, are cradled in a gargantuan granite bowl. To the south, the Stuart Fork flows toward the Trinity River while the great spires of Sawtooth Ridge gouge at the sky. This is a stunning and unforgettable vista. The other iconic view comes from the top of the Old Caribou Trail, as it reaches its apex atop the great shoulder of Caribou Mountain. Here the vast Caribou Basin spreads out below, with Caribou and Lower Caribou Lakes looking unforgivably distant after the hard climb necessary to reach the view. Beyond the lakes, the high peaks of the Trinity Alps, particularly the peaks of the granite heart of the range, line the horizon, a wild an inaccessible land. Details for the Caribou Lakes Trail can be found here.